The Cordilleras de Yanachaga and San Matias-San Carlos are relatively small mountain ranges on the eastern side of the Andes in the Department of Pasco, central Peru. The town of Villa Rica borders these Cordilleras in the south, the town of Pozuzu in the north; while the road from Oxapampa to Pozuzu along the Rio Huancabamba forms the border on the western edge, and the extensive lowland forests in the Amazonian plains, the eastern boundary. The two Cordilleras are separated by the basins of the Rio Palcazu and the Rio Iscosazin, where the Yanesha Communal Reserve is situated. The altitudinal range in the area is considerable—from about 500 m in the lowlands to the highest peak in the Cordillera de Yanachaga, at 3800 m. Rainfall is plentiful, exceeding 6000 mm in some places, and the entire zone is covered with wet lowland or montane forest, with small patches of high altitude paramo in the summit areas. 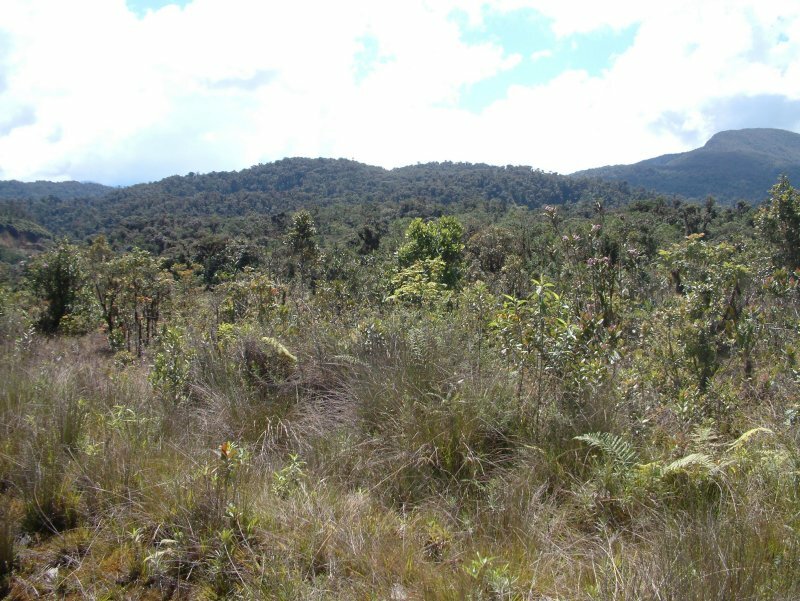 Temperatures vary with altitude, and the climate ranges from wet tropical in the lowlands to cold and wet in the paramos. Rainfall is spread evenly throughout the year; there is no pronounced dry season, and the vegetation is evergreen, irrespective of the altitude. Geologically, the oldest formations in the area are on the western border of the Cordillera de Yanachaga and consist of intrusive Permian layers in the northwestern part, Permian deposits along the western edge, and a fairly large area with upper Triassic/lower Jurassic rocks in the north; while most of the remaining parts of the Cordilleras consist of various Cretaceous rocks with a small area of upper Jurassic and one with Quaternary alluvial deposits near the eastern bondary of the Yanachaga National Park. Ore-bearing minerals have not been found in the Park, and consequently there are no mining activities. The Cordilleras de Yanachaga and San Matias-San Carlos are part of what have been called the “sub-Andean cordilleras,” a discontinuous chain of mountain ranges that run parallel to the main Andean chain but attain more modest elevations and are separated from the main Andean chain by low-altitude valleys. The Galera and Cutucu ranges and the Cordillera del Condor in Ecuador and the Cordillera Azul in Peru form part of the sub-Andean cordilleras. The main Andean range is composed mostly of metamorphic and volcanic rocks, while the sub-Andean cordilleras consist mostly of Mesozoic and early Tertiary sediments, such as sandstone and limestone, deposited at the western margin of South America prior to the rise of the Andes. In 1980 the government of Peru started a development program in the Selva Central, the region between the Cordillera de Yanachaga and the Cordillera de San Matias-San Carlos; this program included the design and development of projects aimed at environmental protection. In 1982 USAID signed an agreement with the government of Peru and became involved in this program with the goals of establishing a National Park in the Cordillera de Yanachaga and a Forest Reserve in the Cordillera de San Matias-San Carlos. 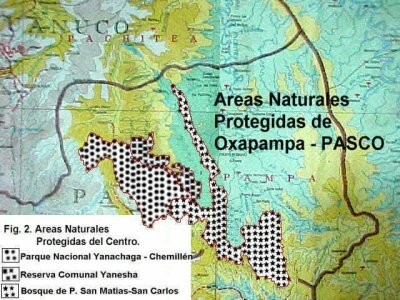 During the second half of the 1980s the Peruvian government created three protected areas in this region: the Yanachaga-Chemillen National Park (1222 km2) was established in 1986; the San Matias-San Carlos Protected Forest (1458 km2) in 1987; and the Yanesha Communal Reserve (347 km2) in 1988. 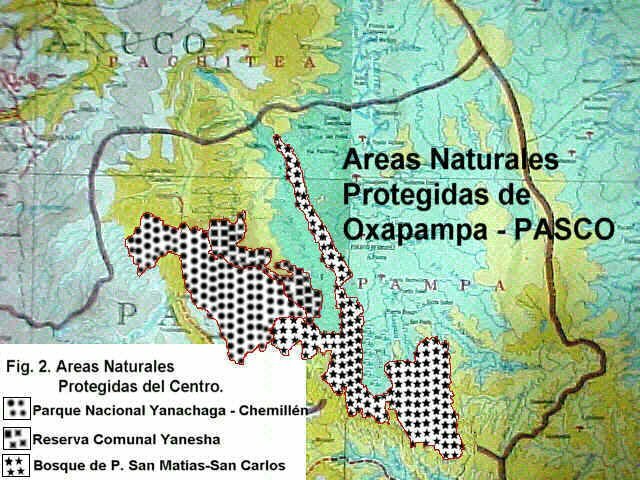 These three protected areas are contiguous and cover almost 3000 km2. 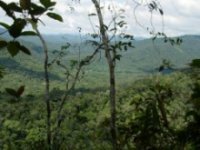 Currently, a plan to create a Biosphere Reserve consisting of the three protected areas, possibly augmented with the headwaters of the Rio Pachitea, is being discussed, but no decision has been taken yet. The project is aimed at making a botanical inventory of the three protected areas based on extensive collecting efforts and study of earlier collections. 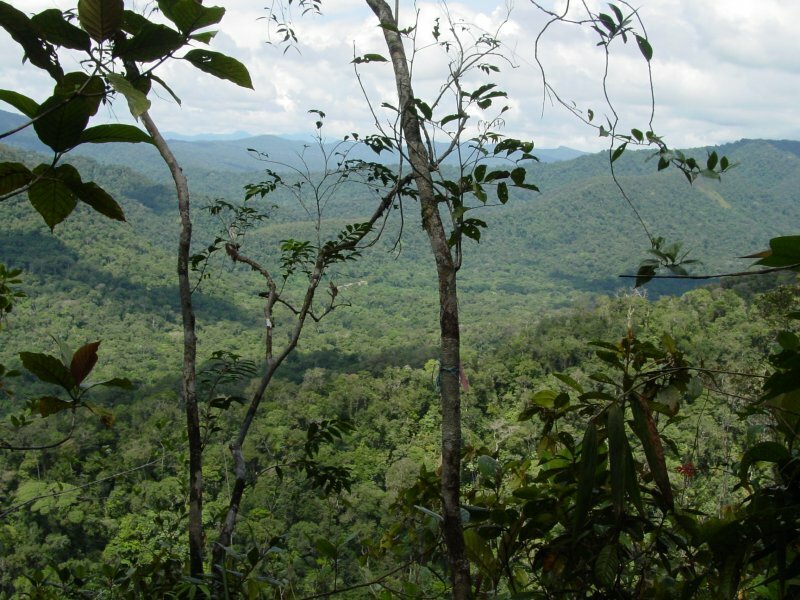 Lower montane forest near el Paujil, alt. ca. 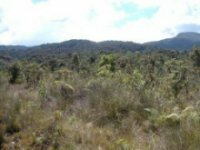 800 m.
Scrub vegetation on nutrient poor soils between Oxapampa and Villa Rica, alt. ca. 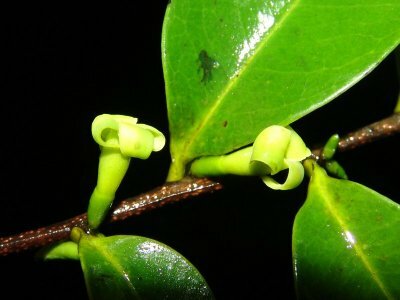 2400 m.
New species of Lissocarpa from El Paujil area, alt. ca. 800 m.
This page was revised 03/28/08.